When we first think of velvet, it comes across as a dressy alterative to other fabrics. Put velvet in the category of a casual affair and it doesn’t seem to make much sense. The fabric is very soft with a luxe appeal, that isn’t slowing down anytime soon. With the season’s changing comes a big splurge of velvet peaking its head through, boots, scarfs, dresses, jackets, and even blouses. The feel of this fabric is undeniable and super chic. Designers like, Ralph Lauren, Chloe, Michael Kors, and Gucci, are showcasing velvet with a rich complex for Autumn. Crushed stylish velvet pieces flooded our minds with an addictive appeal. It also has longevity and is worth investing in, but does this mean you have to give all your money away on a high-end piece? Defiantly, no! The easiest way to introduce a bit of the fabric into your wardrobe without looking like a 1920’s countess, is by making the fabric wearable. No matter where you live or travel to around the globe, it is important to find a versatile item you can wear in any climate condition. 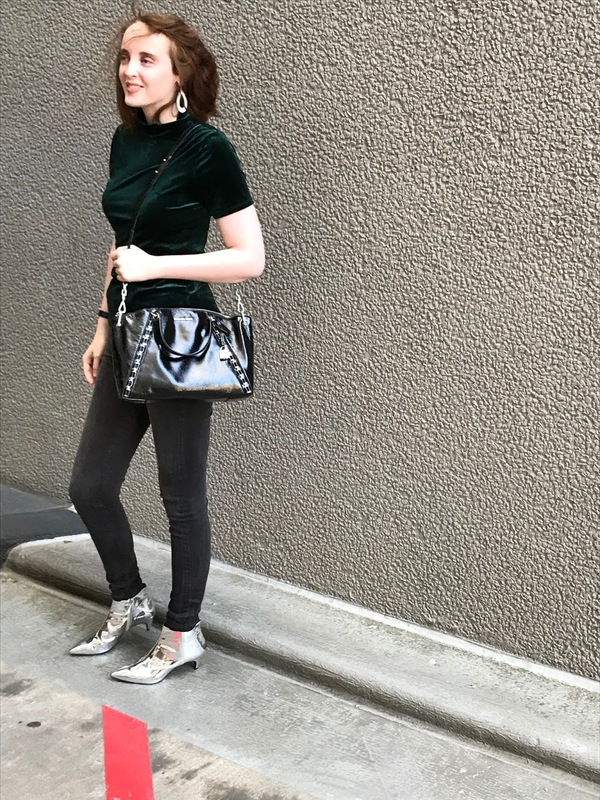 This is wear introducing a velvet top into your life this fall is worth the excuse to go shopping. 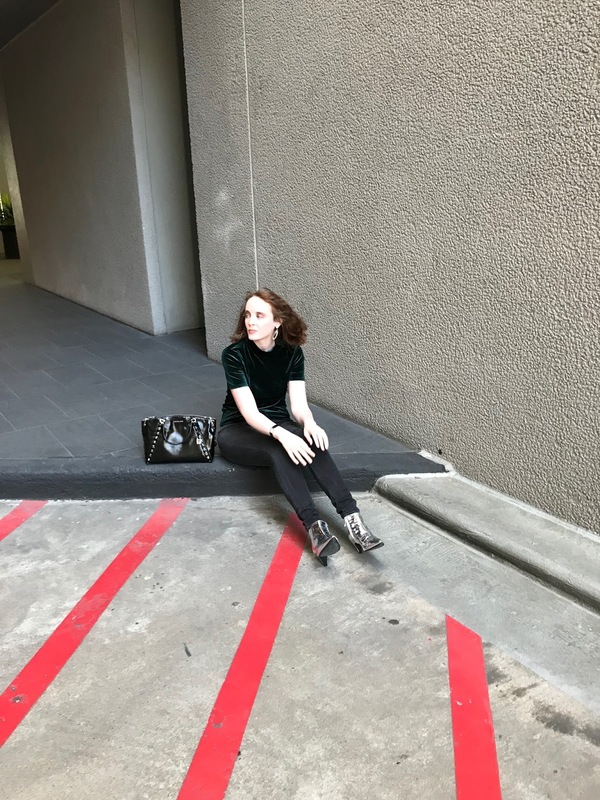 There are a number of advantages to wearing a velvet blouse-it looks appealing, it can be perfect for a cocktail hour, or special nigh time event. It keeps you warm and can be very comfortable when wearing for hours. No itchy material what so ever, so no needed to change tops if you are almost late for your morning meeting. Work aside, the best thing about this blouse is you can always rock it casual. When I spotted this top, I feel in love with it immediately. To my surprise, most of the other colours were left in the dust. No one wanted them and everyone seemed to be buying the emerald green velvet blouse instead. As I tried on this colour I could see what the hype was all about. 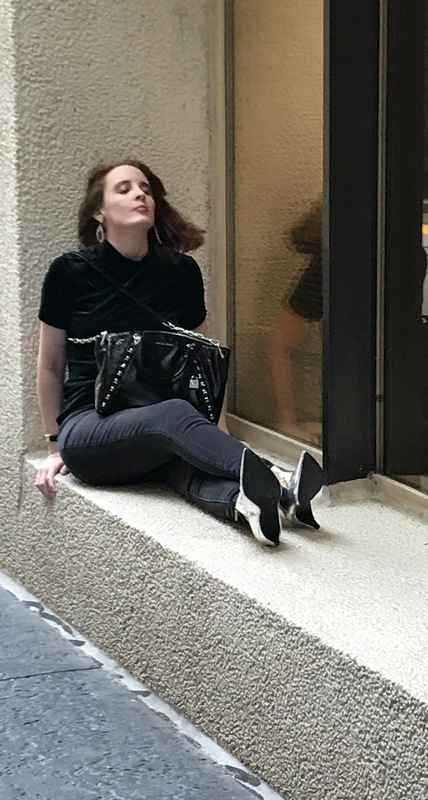 When wearing this with a pair of skinny jeans, and shiny liquid silver kitten heel boots, I felt like there was an edgy dressy vibe that could work truly casual, while going on an adventure in the city. Best part about rocking a fun look like this? Getting a billion complements on my style. I said thank you so many times, I thought my head was going to spin. This was when I realised I deserved a nice coffee break to warm the soul. I love how velvet can have such a wide appeal globally and for these extra cooler months why not take this look with adding your own personal favourite layers. A coat or leather jacket can take this outfit to even more incredible lengths. 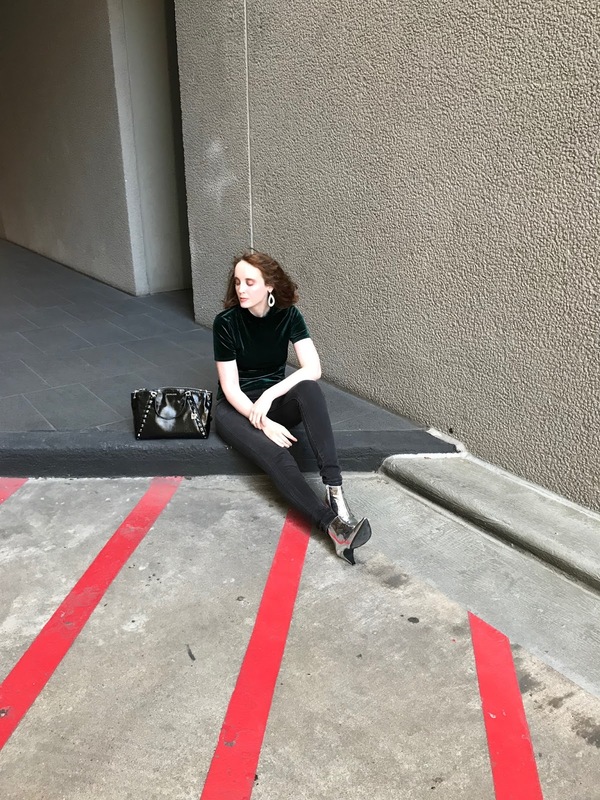 How do you wear velvet this season? Got style questions? I’m here to listen. Email me at heathernoire89@gmail.com and I will get back to you soon. 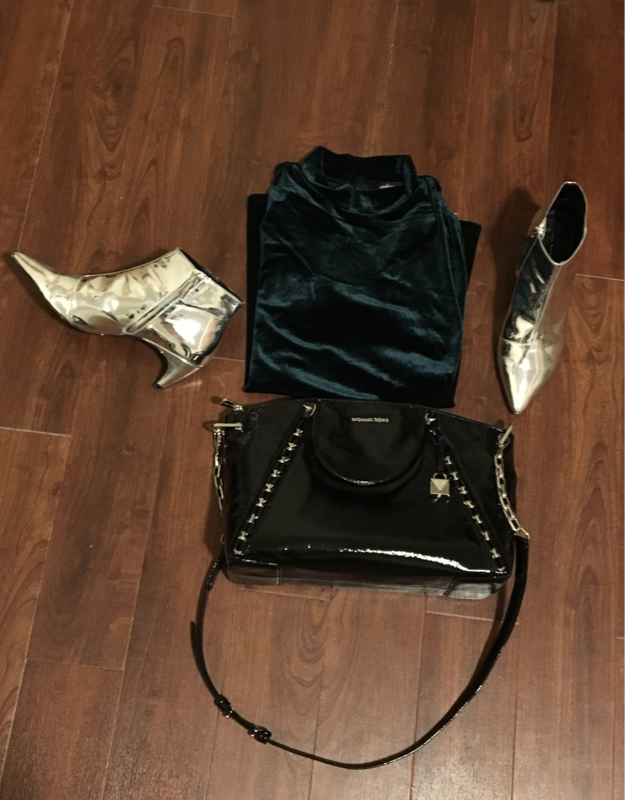 The velvet top looks soooo chic with those metallic boots! Killing it in this look. Great post dear ………keep posting!!!!! !